EFM offers cost effective connectivity for any business wishing to have resilience from their connectivity. EFM uses copper pairs between two and eight to deliver a symmetrical service. The number of pairs delivered will be dependent on the distance from the exchange and the speed that is required. An EFM circuit is resilient in that if one pair of wires fail it continues over the other pairs. 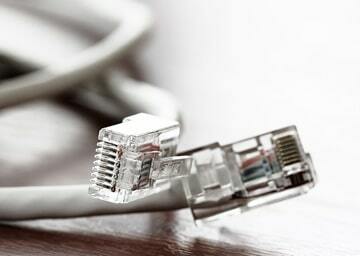 Ethernet First Mile (EFM) is a highly resilient, copper based connectivity solution that provides can provide faster connectivity speeds for your business. EFM has traditionally been a technology for businesses who rely heavily in their connection to the internet to access some or all of the software and application that business uses on an very day basis, but with the cost of such technologies rapidly decreasing in price, is becoming more viable an option for many other businesses too as they look to keep up to date with the latest advancements in Technology, at Missing Link we can do this on your behalf, leaving you free to effectively manage your business utilising this Technology with ease, enjoying a very smooth, resilient, feature rich user experience. All this can be accessed via an easy op-ex based monthly charge. EFM is also more cost effective than Fibre, but still manages to provide a smooth and stable platform and improved upload and download speeds, making it an ideal option for the 'typical SME' to utilise. Symmetrical speeds up to 35mbps, speeds guaranteed at point of sale.